Therapies that target a protein called mTOR are very successful against some cancers, but are less effective against other types. Research from MSK scientists is showing why that may be the case. mTOR inhibitors are effective against kidney and blood cancers. Against other cancers, such as pancreas, they don’t work as expected. Researchers found blocking mTOR may help certain cancers to grow. The drugs affect how cancer cells metabolize nutrients from their surroundings. Targeted therapies that block a protein called mTOR have greatly improved the outcome for people with certain cancers, especially kidney and some blood cancers. But for other types of cancer, many of which were expected to respond to these drugs based on early research in cell cultures, the results have been disappointing. Now a study from a team led by Memorial Sloan Kettering President Craig B. Thompson is providing clues about why that is the case. “Cancer cells consume a lot of nutrients, which they need to grow and proliferate,” Dr. Palm says. “Normally those nutrients are sugars and free amino acids, which they get from the blood.” But the investigators found that for some kinds of tumors, blocking mTOR may actually allow cancer cells to take their energy from a source that is not usually available to them: extracellular proteins, which are found in the area surrounding the cells. Single-celled organisms such as amoeba are known to use proteins as an energy source to fuel their growth. This type of metabolism is not commonly seen in mammalian cells, but recent studies have suggested that some cancer cells, including those with mutations in the gene K-Ras, may be able to use extracellular proteins for energy while suppressing apoptosis (programmed cell death) at the same time. In the new research, published recently in the journal Cell, the investigators found that mTOR proteins prevent cancer cells from degrading extracellular protein and using it as an energy source. This means an mTOR inhibitor might actually make it easier for cancer cells to grow by removing this restriction. This could be especially true for those cells that have K-Ras mutations or are nutrient starved because they don’t have easy access to a blood supply. “There was hope that mTOR inhibitors would be effective against pancreatic cancer, but that has not been the case,” Dr. Palm says. In fact, the new research showed in mouse models that pancreatic cancers with K-Ras mutations actually grow faster when they are given mTOR-inhibiting drugs. Cancer cells are more adaptable with nutrients than we expected. Inhibitors of mTOR are effective in kidney cancer because those cancers — unlike some other tumors — have mutations in the mTOR pathway that drive them to become cancerous. And because blood cancers have easy access to nutrients in the bloodstream, mTOR inhibitors have no effect on how they get their energy. For other cancers, blocking mTOR may actually help the cancer cells tap the extracellular proteins for nutrients. The investigators say their findings point toward the possibility of new combination therapies. “You could combine mTOR inhibitors with another type of drug called a lysosome inhibitor, which could prevent the cancer cell from hydrolyzing [breaking down] protein,” Dr. Palm says. So far, this combination has only been tested in cell cultures, but the team is planning further research in this area. This research was funded by the National Cancer Institute under grants P01 CA104838 and P30 CA008748. 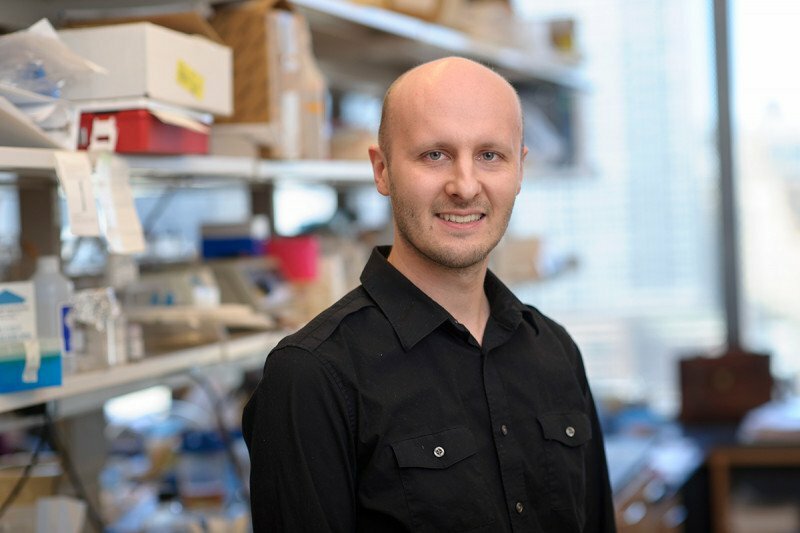 It was also funded by an EMBO Long-Term Fellowship and a Genentech Foundation Hope Funds for Cancer Research fellowship, both awarded to Dr. Palm.